Born in Eagle Cliff, Georgia, Robert M. Drake, Jr., graduated from the University of Kentucky with a Bachelor of Science in mechanical engineering in 1942 and immediately joined the U.S. Army Air Corps. He received his Master of Science (1946) and Doctor of Philosophy (1950) from the University of California at Berkeley. Dr. Drake resigned from the AAF in 1947 and joined the faculty of the College of Engineering at UC-Berkeley. In 1954, Dr. Drake became an engine design specialist with the General Electric Company Aircraft Gas Turbine Division in Cincinnati, Ohio . Following three years service at General Electric, he was named professor of mechanical engineering at Princeton University , and subsequently was named chairman of the department. While at Princeton he chaired the faculty committee that created Princeton ‘s Computing Center, co-founded Intertech Corporation, and was named by the Agency for International Development to the Steering Committee for the creation of the Indian Institute of Technology at Kanpur, India . 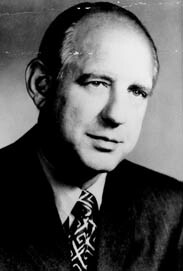 Dr. Drake left Princeton in 1963 to serve as senior staff consultant with the Arthur D. Little Company where he worked on several industrial and classified government projects. The next year he was called back to his alma mater and joined the faculty of the University of Kentucky College of Engineering. Dr. Drake was named chairman of the Department of Mechanical Engineering in 1966 and served as Dean of the College of Engineering from 1966 until 1971, when he joined Combustion Engineering, Inc., as corporate vice president of research and development. He returned to UK in late 1975 as Special Assistant to the President in charge of major research programs, but left soon after to become Corporate Vice President, Technology for Studebaker-Worthington, New York . In 1981, he became co-founder, director, treasurer, and chief executive officer of Projectron, Inc., Lexington, Kentucky (later sold to Rediffusion Ltd. Gatwick and in turn purchased by Hughes Aircraft). In addition to Projectron and Intertech, he co-founded three high tech companies in Kentucky , Massachusetts and California of which only one was successful and sold to the General Electric Company. He subsequently was executive vice president in 1978, then president in 1979 of University Investment Company in Lexington , Kentucky . During his career, Dr. Drake consulted for many high technology companies and government agencies. He was a prolific publisher in the research literature on heat transfer and fluid mechanics, as well as being the author or co-author of three books with Ernest Eckert. At the time, it was the most referenced book on heat and mass transfer in the world. He is a University of Kentucky Fellow and a Fellow of the American Society of Mechanical Engineers. He is a member of the National Academy of Engineering (1974), the University of Kentucky Hall of Distinguished Alumni (1979), and honorary member of the American Society of Mechanical Engineers (1980). Dr. Drake was inducted into the College of Engineering Hall of Distinction in 1995. A Lexington native, he and his late wife, Jane, are the parents of two children, Dianne and Kevin. He is married to Georgia M. Drake.